Maribel Hernandez is our ocean export supervisor. Loyalty can’t be bought, it has to be earned. We’ve been grateful to have earned Maribel Hernandez’s devotion for the last 16 years. Hernandez is our ocean export supervisor and has been with iTN since 2002. A witness to many changes in our company, Hernandez serves as a personal timeline of where we once were and how far we’ve come. 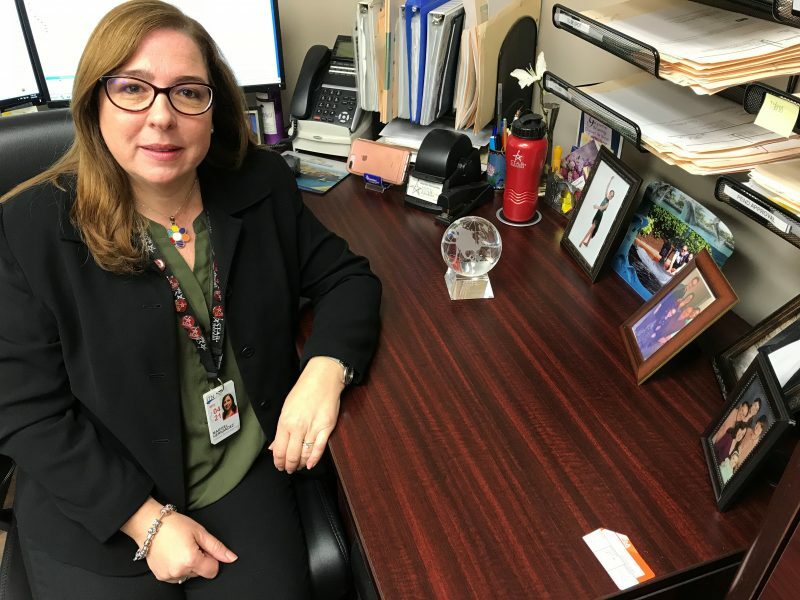 Hernandez began her career in 1990 working at Freight Forwarder-International Shipping one of the export pioneers in Miami where she learned to process documentation, worked in customer service and did the handling of the shipments to Central and South America. As a young mother Hernandez said having her first daughter and wanting a better life for her new baby gave her the push to explore a career in logistics. She recalls when the operations system was manual and the documents were sent via messenger to the shipping lines. Hernandez would also travel to places like Costa Rica and participated in the loading of a vessel for Seaboard Marine. “It’s a unique experience where you can appreciate the handling of the load. After my time at International Shipping, I went to work at Carotrans, an NVOCC handling all the shipments generated by international agents for four years. Then in 2002 I was hired by iTN Worldwide to handle the contracts with the lines and filing with the FMC. At the same time, I was tasked with developing the market expanding the Caribbean lanes that we were known for. I think that over the years I have obtained experiences that today I put into practice and share with my colleagues who have less time in the industry. I like to serve as a guide and offer them solutions for their shipments.” Hernandez said. Over the years iTN joined Amerijet Holdings and began to grow and receive cargo at their nationwide stations. Hernandez also consolidated shipments and managed the logistics side, coordinating inspections and documentation. In 2012 Amerijet and iTN Worldwide became sister companies giving shipments a further reach and shipping to all parts of the world. Hernandez handled special accounts and VIP clients. Since her journey began at iTN Worldwide, Hernandez has reached many goals and accomplishments. Some of her accolades include winning the STAR Award program twice. The STAR awards recognize employees for outstanding performance with a $500 cash reward. She also became the first employee to be nominated 11 times in 12 months and has been nominated 51 times by more than 30 different people worldwide. Hernandez says she’s grateful for her colleagues at iTN but remembers that her perspective of the company elevated when iTN supported her while her son battled Lymphoma cancer. Maribel says the scare with her son has increased her faith and character. She also makes sure to take time to balance her busy work schedule with family time and cultivates a work-life balance because iTN encourages it. Hernandez said being a part of iTN Worldwide has given her a well-rounded perspective on being a professional while still dedicating time to personal matters. She said she’s also grateful for the way they’ve encouraged her to grow as a leader in her department and uses her skills to help her ocean team.